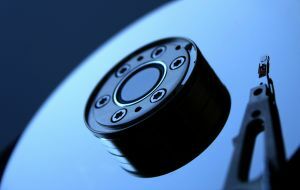 Even though hard drives are getting larger and larger, disk space on your PC is still limited. And if you have an SSD, then you’re still facing the problem of running out of disk space. Luckily, there are ways to free up disk space quickly and easily. Here are three great ways to free up disk space without deleting any files you need. Windows has a built-in tool for cleaning up unnecessary junk files from your SSD or HDD – Disk Cleanup. This tool will help you delete temporary files, old system restore points, and so on. To launch Disk Cleanup, open Computer, right-click on the drive you want to clean and select Properties. On the General tab, you’ll see a button saying Disk Cleanup. Click on that and the Disk Cleanup tool will open. Now select what you want to clean and click on Clean Up System Files (requires you to be the administrator of the PC). Now go to More Options and select to clean up old System Restore points and shadow copies. Then proceed to clean up the rest. If you find the Disk Cleanup tool limited and want to delete more junk, such as browser cache, unneeded add-ons and so on, try FileCleaner. When you’re done getting rid of junk files, a good thing to do is to analyze disk space usage. This will help you see which files occupy the most space. Most of the time it’s applications and videos, but there can be surprises. There are several tools that will help you analyze disk space usage. WinDirStat is a good free option. Every computer has duplicate files. The problem is that they are not very easy to find without the help of a duplicate file finder. With a good duplicate finder, you can recover gigabytes of wasted space in just a couple of minutes. Easy Duplicate Finder is a great program that will help you find and delete all sorts of duplicate in three easy steps.